How Long After I File For Bankruptcy Will It Be Before I Can Restore My Credit? Immediately. Most people believe that it will take many, many years before they can ever again enjoy anything like a decent credit score after filing for a Missouri bankruptcy. But the exact opposite is true. In most cases, an individual can begin to see upward movement of their credit rating within weeks after filing, and revive the score to proper levels within one to two years. When you file a St. Louis Chapter 7 bankruptcy, all of your unsecured debts (things like credit cards, medical bills, payday loans, etc.) are discharged. That means the debts are wiped out forever, and the creditors can never again demand payment from you. At this point, you can expect to see an immediate jump in your credit score by about a twenty (20) to thirty (30) points. Your opportunities to rebuild even further are going to be there immediately as well. For instance, upon receiving your discharge of debts, you will be flooded with credit card applications. That’s right, flooded. The credit industry (the very entity that had been trying to convince you that filing for bankruptcy was the worst mistake you’ll ever make in your life) will be begging you to come back! This may seem counterintuitive, but the reason for why is simple: overnight you will have become the most attractive candidate in the world. All of your old debt will have been knocked out, which means that you will presumably be in a good position to make monthly minimum payments to them. Of course, there goal would be to get you right back into the same position as before (in which you are racked with burdensome debt levels). But so long as you make small purchases, make monthly methodical payments, you will see your score rise nicely. Most of our Chapter 7 clients are making big purchases on cars and houses within a couple of years after filing. In a St. Louis Chapter 13 bankruptcy, you are put inside a repayment plan. This will last over a period of three (3) to five (5) years in length. During this time, you will make a single, monthly, consolidated payment to a Trustee to cover certain debts (like arrearage on a house, car note, and tax debt). The Trustee will distribute the monies according to the plan each month. This in turn means that by the time you are done with the repayment plan three to five years later, your credit score is going to look rock solid. And of course, your ability to move even higher is bound only by how aggressive you wish to be in raising it. 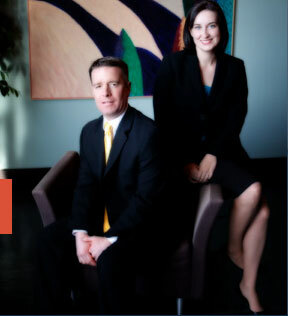 The affordable St. Louis bankruptcy attorneys at Brinkman & Alter, LLC have been providing expert bankruptcy legal services for years. Our goal is to make sure you receive the fresh start / clean slate you deserve, and get you back on the road towards financial freedom.